WHEN: August 7-11, Starting at 12:15 PM Enjoy an affordable lunch and meet the artists following each recital. Great Keyboard recitals have become a must-see part of the BONJ Summer Festivals. 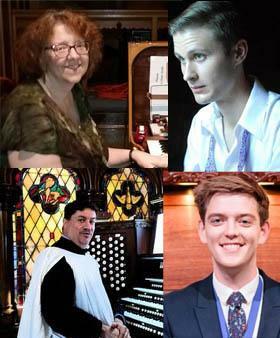 These recitals feature the area's leading organists performing music of Bach, Pachelbel, Brahms, Burkhardt, Buxtehude, and others. WHEN: August 12, 2017 at 7:30 p.m. WHEN: August 13, 2017 at 3:00 p.m. WHEN: August 20, 2017 at 3:00 p.m.